Today is a happy day for the good people of Ghana. At long last, the people of Dagbon have, by the grace of God, a new Ya-Naa, bringing to an end decades of division, strife, and tension in Dagbon. I send warmest congratulations to Yo-Naa, the Savelugu Naa, Abubakari Mahama, on his election, by the time-hallowed customary process, on Friday, 18th January, 2019, as the new Ya-Naa of Dagbon, following the completion of the final funeral rites of the late Ya-Naa Yakubu Andani II, on Friday, 18th January, 2019. The people of Dagbon, especially the Andani and Abudu Royal families, are to be congratulated for this achievement, and for ensuring that the funerals of Ya-Naa Mahamadu Abdulai IV and Ya-Naa Yakubu Andani II were held and concluded peacefully, bringing us to this very happy day. I thank the Committee of Eminent Chiefs chaired by the Asantehene, Otumfuo Osei Tutu II, together with the Overlord of Mamprugu, the Nayiri, Naa Bohugu Abdulai Mahami Sheriga, and the Overlord of the Gonja Kingdom, the Yagbonwura, Tuntumba Boresa Sulemana Jakpa, for working so hard and with such determination to help us realise this memorable occasion. I salute their high sense of statesmanship and patriotism. The Kampakuya Naa, Yakubu Abdulai Andani, and the Bolin-Lana, Abdulai Mahamadu, are on their part to be commended for the constructive roles they played towards ensuring the completion of the funerals of their respective fathers, and for their subsequent words of acceptance, and declaration of loyalty to the new Ya-Naa. 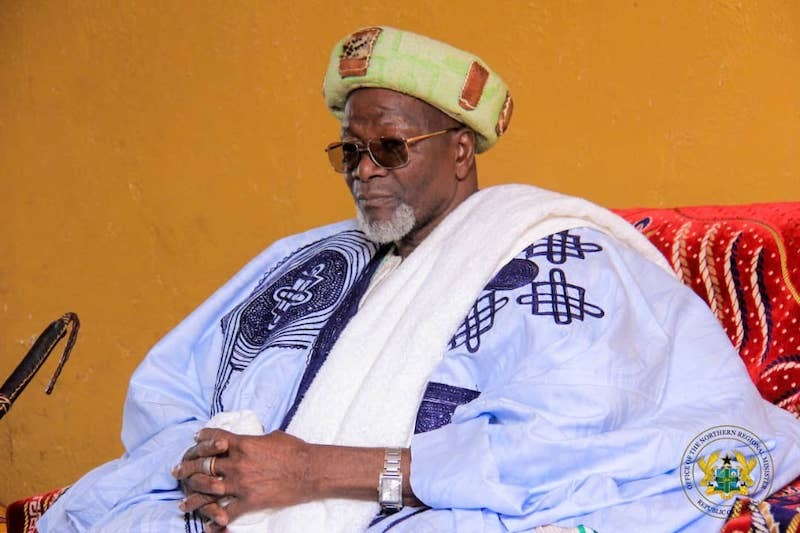 It is the expectation of the people of Dagbon that, as the eldest sons of two most recent Ya-Naas, they will help the new Ya-Naa lay the basis for the rapid development of Dagbon in unity and solidarity. I am confident that the new Ya-Naa will steer ably the affairs of Dagbon, move swiftly to place the Kampakuya Na and the Bolin Lana in their rightful positions in the Kingdom, and help bring lasting peace and unity to one of the most ancient traditional states of our nation. He is an experienced and mature man, a man who loves his people, and a man who will work to ensure that Dagbon prospers, and offers opportunities for its youth to enhance their lives in normalcy and security. Like the overwhelming majority of Ghanaians, I am delighted about today, and I look forward eagerly to visiting Yendi soon to congratulate the new Ya-Naa in person, once he is outdoored. I assure him and the entire people of Dagbon of my Government’s wholehearted support in helping to restore Dagbon to its former glory and greatness.